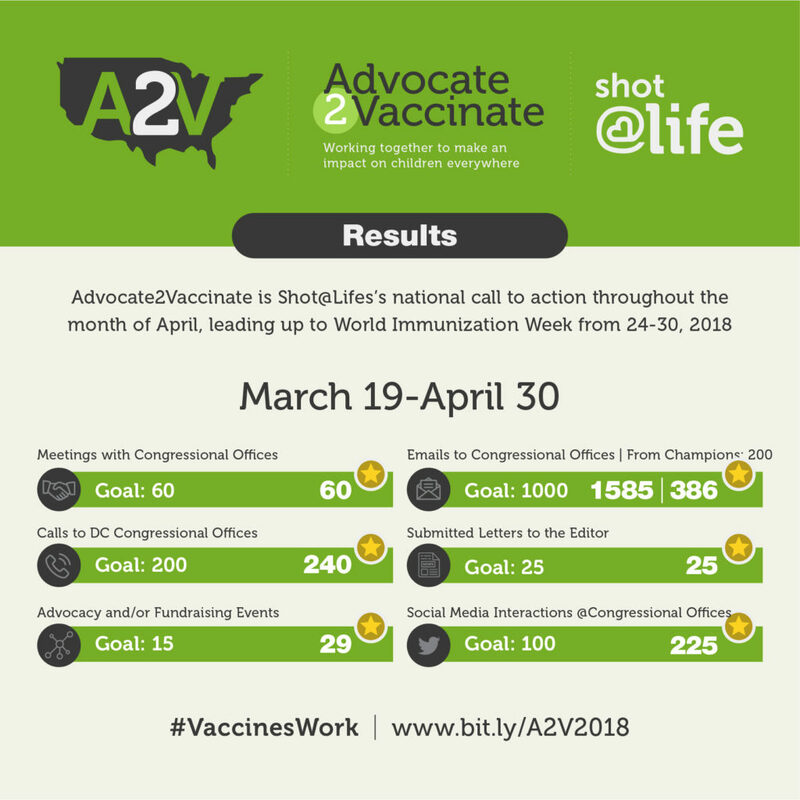 Advocate2Vaccinate is an annual six-week challenge engaging Shot@Life Champions to take action and tell their Members of Congress that funding for global vaccines is a priority each spring. Congratulations on a successful Advocate2Vaccinate 2018! Still want to get involved? Sign up for a future Champion training here.